China Composites Group Corporation Ltd (CCGC) is a leading manufacturer in China which provides FRP pipes and containers, wind energy rotor blades, FRP fishing boats and yachts, FRP Auto parts, PVC flooring, glass fiber mat, also CCGC is the main organizer of China Composites Expo 2009 (The 15th China International Composites Industrial Technical Expo). China Composites Expo has grown up into the largest annual trade exhibition in Asia in the field of composites industry since it was established in 1995. 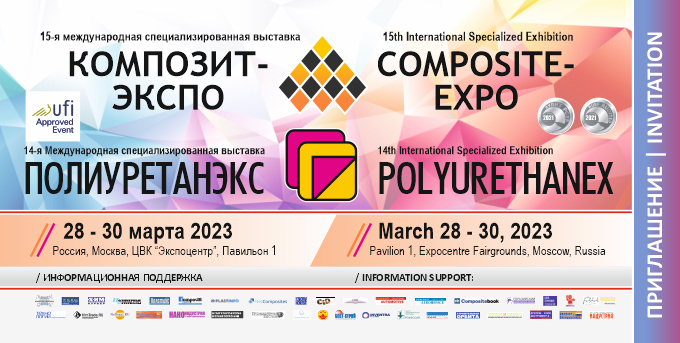 350 exhibitors from 16 countries and over 10000 composites professionals from 54 countries participated in China Composites Expo 2008, 26 technical seminars, demonstrations and the winners of Innovation Awards were showcased on site. Attending China Composites Expo is the best way to understand Chinese market and to source for your business. China Composites Expo 2009 will be held in Shanghai, SEP 2-4, 2009 and the event will be held in Beijing, SEP 15-17, 2010.